Bernie Wrightson - "The Dark Tower V: Wolves of the Calla" Painted Illustration Original Art (Donald M. Grant/Scribner, 2003). Stephen King's The Dark Tower V: Wolves of the Calla continued the eerie adventures of Roland, the last gunslinger and survivor of a civilized world that has moved on. A beautifully moody example of Wrightson's genius, straight out of King's masterfully written book. 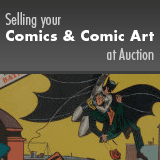 This acrylic on paper spine-tingler has an image area of 8.5" x 12.5", and the art is in Excellent condition. From the Studio Collection of Bernie Wrightson.